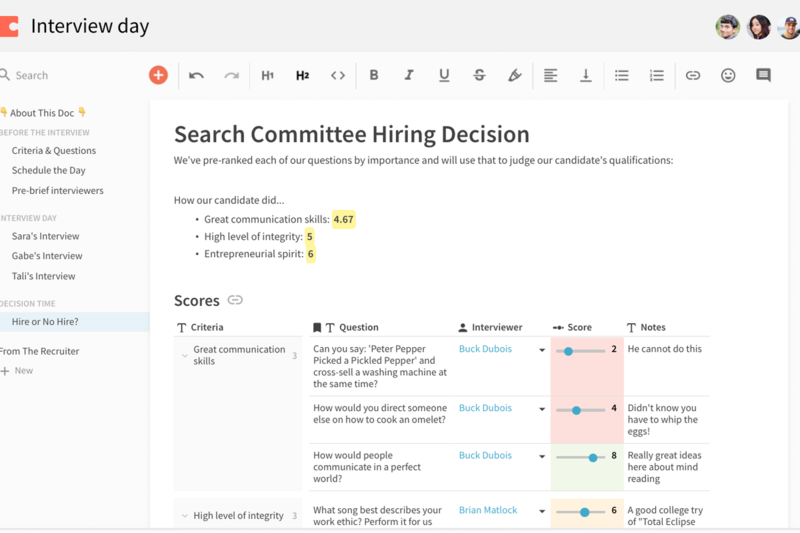 Coda – a new serious competitor to Microsoft Office and Google Docs? Share the post "Coda – a new serious competitor to Microsoft Office and Google Docs?" What does this software consist of? How does it work? Coda, whose codename during the 3-year development time was “Krypton”, is a collaborative document editor that combines a word processor and a spreadsheet. The start-up’s ambition is to create “documents as powerful as an app”. Like Microsoft Word or Google Docs, Coda consists of a blank canvas but it allows the users to build, for instance, spreadsheets or surveys, on top of it. It is really easy to drop in a table and use the power of the tool’s engine. 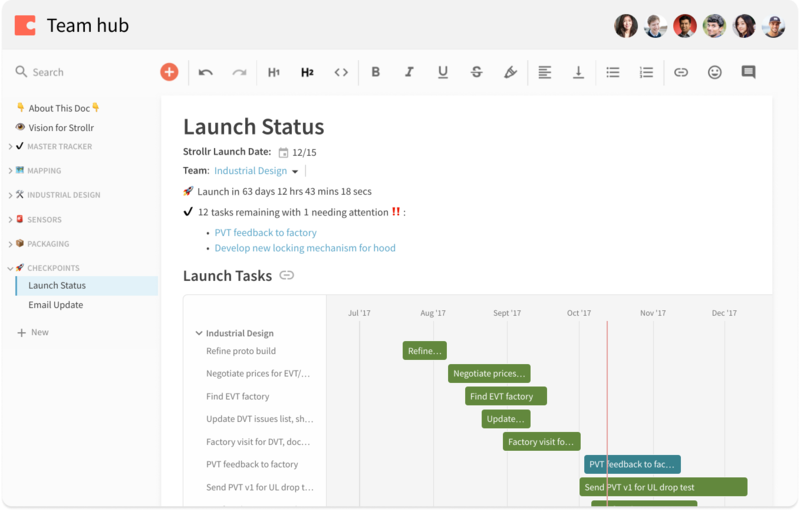 The founders’ hope is that Coda can be flexible enough to put together the problems that overlap collaborative tools – sheets, docs, or other kinds of places where people collaborate or store information – into a single flow. Although, in contrast with Microsoft Excel, Coda has developed his own programming language design to integrate other services into your spreadsheets. In Coda, rows and columns are called “objects” instead of describing a table of several rows and columns “A1:G6” for example. Now you just have to type the name of the column or of the cell to have your formula. Besides, the formulas in Excel needed to be placed inside of tables. In Coda, just write the “=” sign in the object formula and you can bring in data from anywhere else in your document. Furthermore, a really good novelty is that you can, for instance, enter “GoogleDirections” into a formula and this will insert a Google Map window in your document to give you directions from an origin location to a destination. Coda’s engine is so well developed that it is more powerful than Excel – which is already considered as the one of the most powerful tech engines in the world. This software is so flexible with the needs of groups work that some beta testers have described this tool “Minecraft for docs”. And these documents are really good-looking! How much does it cost to develop such a collaborative document editor? Considering the financing, the co-founders have raised for now $60 million for the start-up to develop the software. Investing companies like Greylock Partners, Khosla Ventures, General Catalyst, NEA or Kleiner Perkins Caufield Byers have taken part to the funding while Reid Hoffman, a LinkedIn cofounder, has integrated the board. However, according to previous reports, the project “Krypton” was valued at $400 million. Nevertheless, the total project cost hasn’t been revealed yet. Coda is entering a crowded market and will compete with tech giants. This fact will probably increase the future costs because of marketing costs – entering a “Red Ocean” market needs a lot of funds for brand awareness. However, the collaborative office work has created an opportunity for Coda to create a niche market. And this tool caters the collaborative work. Coda is currently only available on desktops and for a few business thanks to a private beta version. And the company doesn’t know when it will be available to the larger public. In my opinion, this tool will revolutionize the spreadsheets tools. Today, worldwide spreadsheets uses are multiple that they are currently running the world. This is why this new breakout tool would be a success. “The more flexible the system, the more uses people find for it” says the CEO Shishir Mehrotra. This is absolutely true, because nowadays, people needs are, in most of the cases, finding new ways of working and fitting to everybody’s business. And people are always looking for these kind of new flexible tools.